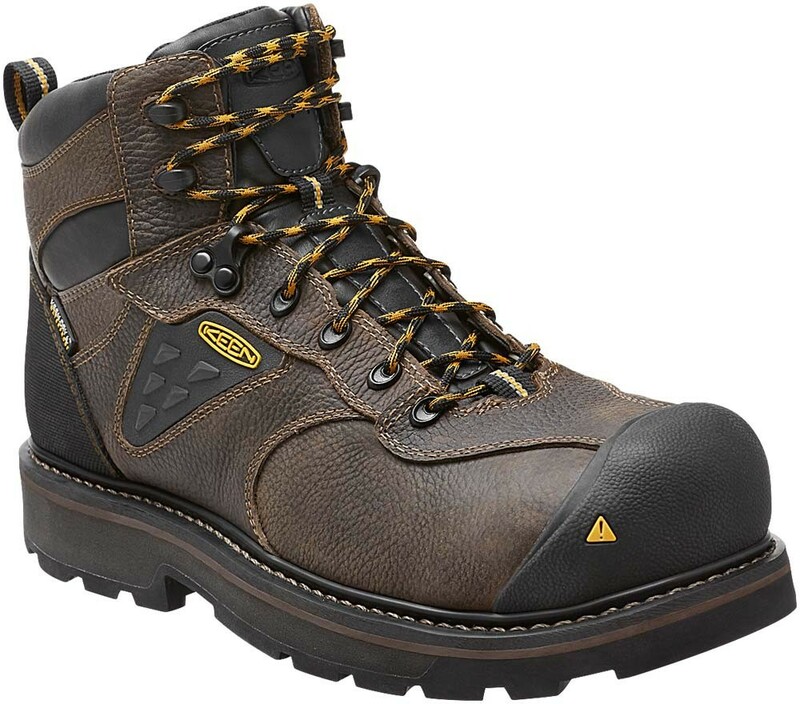 The men's KEEN Tacoma is a waterproof work boot that reflects KEEN's obsession with comfort, quality and fit, so you can spend the day working hard and feeling good. A shock-absorbing shank supports the foot, and the non-marking outsole offers serious slip-resistance. KEEN Patented Toe Protection wraps the shoe outsoles up and over the toes for ultimate protection.